St Giles Trust, the award-winning national charity that helps people facing severe disadvantage to access jobs, homes and specialist support, has expanded its Yorkshire presence after opening a new regional base at Leeds Media Centre. The facility is one of three sites close to the city centre owned and managed by Unity Enterprise, a not-for-profit subsidiary of Unity Homes and Enterprise, which provides 130 managed workspaces for around 80 businesses, social enterprises and third sector bodies. St Giles Trust was established 57 years ago in Camberwell, South London as a soup kitchen. It has since expanded its work across England and Wales to offer a vast array of services including skills training, help for individuals and families affected by financial hardship, prisoner rehabilitation and professional guidance for vulnerable adults. In 2017/18, the charity helped 24,982 people through its services. St Giles Trust has achieved extensive national recognition for its work, including several prestigious Excellence in Diversity Awards. Last month it was named in the Best Companies Top 100 for 11th consecutive year. Ali Akbor, Chief Executive of Unity Homes and Enterprise, said he was thrilled that the charity had chosen Leeds Media Centre to broaden its support for local communities in Yorkshire. He commented: “St Giles Trust is a perfect fit for us. Unity was set up as housing association more than three decades ago to help people in greatest need, with a particular emphasis on BME communities. We have achieved a lot in the intervening period but our ethos has never changed. 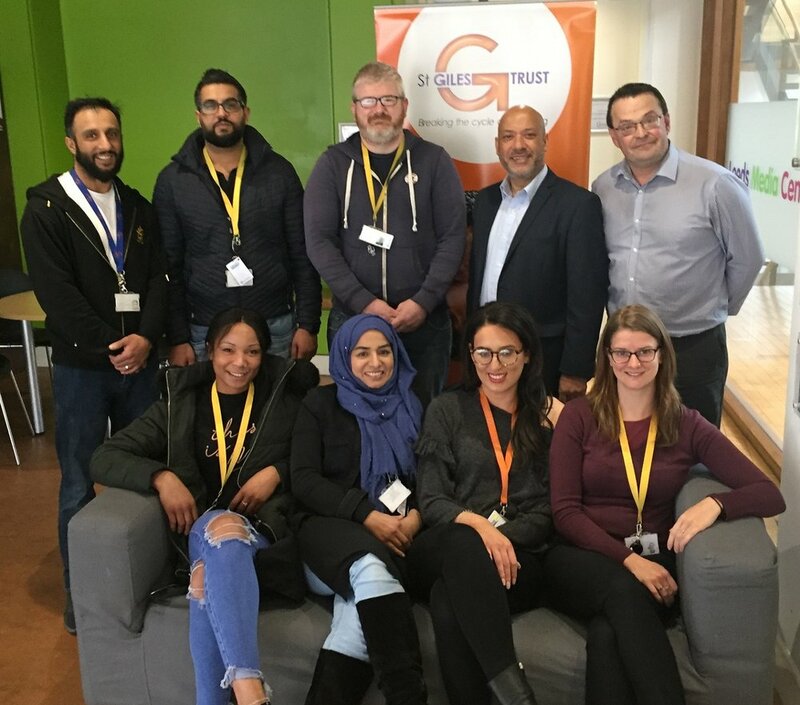 “We have expanded our range of activities over the years to support local entrepreneurial endeavour through Unity Enterprise, and help our tenants and others to access jobs and training opportunities through Unity Employment Services. Penny Hales, Support Services Manager at St Giles Trust, said: “As a charity who are committed to using our resources on our frontline work, finding high quality office space at affordable rates can often be a real challenge but is a necessary tool to be able to develop our work. The charity’s move to Leeds Media Centre was facilitated Unity Enterprise Manager Adrian Green. He said: “It has been a real pleasure to work with the St Giles Trust team as they settle into their new Yorkshire home.